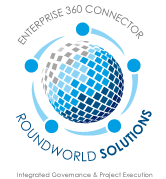 Based in San Diego, but with a national reach, RoundWorld Solutions (RWS) provides key software engineering talent to emerging and mid-market companies as well as some of the largest Tier 1 companies in the country. We offer maximum flexibility in meeting your needs: A single individual for a specific task, a full team of engineers for a high priority project, execute entire phases of project development offshore or establish a wholly owned development subsidiary globally. Whatever the need, we deliver services that add immediate value to your software development effort. Recognizing that each client’s’ need is unique, RWS offers three models to meet your requirements. RWS provides immediate access to a wealth of market sectors to meet your need for high-demand core software technologies as well as many difficult to find specialties. Today, globalization is a permanent fixture of the business landscape. The economic case is well established: Products and services obtained from worldwide sources are essential to long-term profitability. Across virtually every market sector, companies like yours face not only local and domestic competition but, increasingly, economic challenges from every corner of the globe. Balancing the demands of time, talent, resources and budget to compete effectively in a global economic environment is essential to gaining and maintaining a leadership role in the market. Round World Solutions (RWS) provides extremely cost-effective custom software solutions using an outsourced service model. Unconstrained by domestic limitations, RWS is your gateway to the world-class software resources available globally. Drawing on top notch developers software developers and project managers located globally, RWS has the resources to handle virtually any size project across a wide range of software market sectors. With a diverse and seasoned staff always available, specialized skill sets – unique to your requirements – can be readily accessed and drawn from the talent-rich pool available globally. Projects can be defined, sourced and initiated to meet the demands posed by rapidly changing market trends and increasingly fierce competition. By utilizing the well-established software infrastructure in many parts of the globe, your ongoing staffing and financial commitments as well as administrative and managerial burdens can be significantly reduced. Our affiliated development partners have earned recognition for excellence from numerous trade industry associations including the prestigious SEI-CMMI Level 5 certification. New technologies, new innovations, new markets, new products and new concepts of what is possible using today’s mobile devices has created a seemingly unending thirst for the next development in mobile technology. The changes in the way both consumers and business have adapted to, and in fact embraced these changes, is staggering. To meet the challenges and opportunities presented by today’s mobile technologies, we have carefully assembled a world-class team of engineers with the depth of experience – in very specific and focused skill sets – who have not only mastered today’s advances but also anticipate and prepare for the next technical generations on the horizon. It is a commitment we make to both our team’s professionalism and to our valued customers. Mobile devices have become an ever present and indispensable part of our lives. They allow us to communicate more effectively, accomplish more in less time and generally enjoy life’s conveniences more fully. Yet, the introduction of each new device relies, in turn, on the application of the most recent developments in mobile technology coupled with the vision and skills of technical artisans capable of bringing tomorrow’s cutting edge devices to us today. In addition to the above, RWS has access to experts in device driver development for mobile networking and communications including WiFi (802.11 b/g), Bluetooth, ZigBee, GSM and GPRS and RF interface devices domains. RWS has a proud performance-driven record of delivering robust, customer centric and reliable mobile solutions to our customers. Please contact RWS for more information. The RWS global partners bring significant expertise to the development and optimization of a variety of audio-video and speech codecs, streaming protocols and audio-video processing. The team has developed multimedia applications based on RTP/RTSP streaming protocols, audio-video codecs that include H.264, MPEG-1, MPEG-2, and MPEG-4 and AV multiplexing using MPEG2-TS and PS standards. Additional expertise includes the implementation of the UPnP protocol to achieve plug-n-play connectivity and auto discovery of devices for in-home networks. To learn more about our Audio-Video Analytics services, please contact RWS to discuss your specific needs. The RWS global partners have developed expert and innovative solutions in the Home Automation, Mobile and Wireless Communications, Networking and Telematics domains using our expertise in VoIP technology and application development. A USP powered plug and play device VoIP-GSM Gateway enables GSM mobile phones to make and receive VoIP calls to / from Skype ID. It acts as a VoIP to GSM and GSM to VoIP gateway device to allow an ordinary GSM mobile phone to make and receive VoIP calls to / from Skype ID and does not require additional software to be installed on the mobile phone. It is Skype compatible and future versions will also support Google Talk. Development of VoIP to GSM and GSM to VoIP gateway. Use of USB Audio Codec for transferring the VoIP data over to device via USB. Integration of Instant messengers like Skype and Google talk with application software on the host PC. A Personal Wireless Gateway, which includes a dual mode phone, that supports GSM as well as VoIP over WiFi. Bluetooth to enable communication between Pocked PC and the phone to provide the Pocket PC with features such as internet browsing, call control, messaging etc. Call features supported – Call waiting, call hold, call forward, call transfer, multi party call, call barring, DTMF generation, etc. To learn more about our VoIP services, please contact RWS to discuss your specific needs. The RWS Mobile Team partners provide a wide range of testing services including device certification, compatibility testing and functionality testing. Moreover, we offer special testing services for clients with touch-point applications on mobile devices as well as a comprehensive set of Bluetooth testing services. With the proliferation of mobile devices, compatibility testing has become critical. As a result, we have developed a proprietary compatibility checker toolkit that provides faster results compared to conventional manual testing. However, manual testing is also offered where appropriate or requested by client. Additional services include device certification, root cause analysis of defects and can also provide suggestions to fix defects found in the software. RWS partner expertise in application testing includes usability, usability inspection, middleware, database and integration testing. To enhance our services, a remarkable build and integration framework has been developed to significantly reduce the cost of executing the automation and build process including unit testing, functional testing and regression testing. RWS partners in mobile solutions domain include a wide range of devices like Symbian (Nokia, Sony Ericsson, BenQ, Motorola, Siemens, LG), iPhone, Blackberry, Android, HTC. All our mobile solutions are supported by end-to-end testing across various devices. Our device testing services include mobile testing, application testing, security and device support/certification. Our mobile testing services include Test Quest (TQ), a compatibility checker application (for J2ME) used primarily for testing various feature support on different devices. Bluetooth SIG specifications and BQB certification have become mandatory for all Bluetooth enabled devices to ensure interoperability across multiple devices from diverse manufacturers. Bluetooth testing services range from identifying devices for interoperability testing, creating test plans, writing automation scripts, system testing to certification. We extend our support not only for defect tracking and maintenance but also for precise defect analysis to help streamline the debugging process. RWS partners have tested a wide range of Bluetooth devices including mobile phones, headsets, headphones, USB dongles and hands-free car kits. Both manual and automated testing services are designed to ensure product interoperability with all other key products commercially available in the market by uncovering interoperability issues while the product is still under development. The interoperability test suites are executed using a large number of specific Bluetooth devices together with regression and feature testing to ensure maximum compatibility verification. As mobile phones, smart phones and PDA’s become increasingly pervasive and indispensable to both the consumer and business markets, meeting the need to port applications to the wide variety of devices in the market and across multiple manufacturer specifications has become a challenge. This critical service is one which our Mobile Team has considerable expertise. RWS partners have made considerable investment in developing and refining automated porting services. The automated build process creates ready-to-deploy, optimized application-bundles from the source code which greatly facilitates the dynamic building of mobile applications for various platforms. For example, some platforms require the application to be signed with platform specific certificates to ensure availability of desired service. J2ME Polish is a powerful tool that facilitates the build process with its extensive mobile device repository. Using J2ME Polish, developers are able to create a variety of possibilities in enterprise mobile application development including support for persistence, RMI/RPC, accessing server side content and support for a highly customizable style sheet based user interface and animation effects. Each mobile application leverages various services that the underlying mobile platform offers. But, in doing so, it is important that the mobile handset on which the application is to be installed be pre-verified for availability of the service. 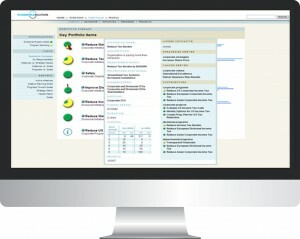 To achieve this goal, a proprietary Compatibility Checker was developed by RWS partners. The Compatibility Checker pre-verifies and checks for compatibility of the targeted mobile handset to ensure seamless installation and operation of the mobile application. In addition, it provides the user with insight regarding the draw on various mobile services that the application being installed would consume – e.g., mobile telephony, messaging, network usage etc. Fully configurable and flexible component library which eliminates need to build each GUI from scratch. Experience working with JSRs and associated compatibility issues. Experience in developing applications for multiple manufacturers, models and brands. With the tools and expertise to provide end-to-end solutions in the Bluetooth domain, our team provides a robust range of Bluetooth services: Application development, in-house prototyping, device driver development, porting and Bluetooth testing. From hardware to embedded application software, our experience and comprehensive skill-sets enable us to offer expert and cutting edge Bluetooth services to our clients. Application and SDK development specific to the Bluetooth stack is provided across multiple platforms (embedded/PC based). Development can be done using third-party development environments such as Bluelab from CSR or using third-party application integration. Support for Feature Enhancements in Bluetooth Specification. Swift assistance is provided for implementing white papers released by Bluetooth SIG. Assistance is also provided to upgrade the existing system to the evolving Bluetooth specifications. A full range of device driver development and porting services across embedded, Windows, Linux platforms is supported. Maintenance of legacy products is accomplished by extending technical support for diagnostics, bug fixing, release management and feature extensions. Established track record of numerous and successful Bluetooth projects driven to completion. To meet the many challenges inherent in implementing wireless technologies, RWS partners with a seasoned and experienced group of professionals that focus specifically on WiFi technology. Issues relating to increased complexity, meticulous power management and the critical aspect of minimizing security risks are addressed in each solution we provide. We offer a comprehensive portfolio of services ranging from integrating WiFi chipsets, WiFi driver development, developing complete WiFi solutions to testing WiFi functionality. GPS technology has become an increasingly ubiquitous and indispensable tool for many consumer, business and governmental applications. RWS Mobile Team partners brings end-to-end services across a wide range of needs from hardware system design, prototype development to many GPS personal and enterprise wide applications. Development and optimization of ZigBee stacks based on both the IEEE 802.15.4 standard and ZigBee standards. Experienced with variants of ZigBee stacks like TI and Microchip. Development of a robust hardware platform based on Chipcon’s ZigBee transceiver for network devices. Development of wireless applications for home and building automation (security, HVAC, light-control) based on the ZigBee standard. Customized and optimized ZigBee compliant stack for selected platforms and applications. Design and development of ZigBee devices including full function device (FFD), coordinator, reduced function device (RFD) for complete ZigBee technology based solution. Integration of third party ZigBee transceivers, porting and support on various platforms. ZigBee application development for different profiles like home control, building automation etc. The stack solutions that have been developed are readily portable across multiple processor platforms that can also be used for implementing wireless solutions. RMS Mobile technology partners have built on our extensive Flash Lite experience by developing a comprehensive component framework using Flash Lite 2.1 and Action script 2.0. This enables faster development of Flash Lite mobile applications by significantly reducing the UI component development time which allows the developer to separate and focus on the business and logic requirements rather than on the presentation layer. Finally, the framework also includes a set of commonly used library functions used in development of mobile applications. RWS Mobile Team partners have extensive experience in the SMS text messaging domain, the most widely used mobile phone data application in the world. The overwhelming popularity of the iPhone has lead to a seemingly unending stream of new applications for development. To address this need, RWS Mobile Team partners have assembled a focused team of exceptional engineers able to manage both the challenges and opportunities that the iPhone offers: Leveraging the GUI, maximizing the iPhone’s powerful native features, backend integration, managing limited memory and storage handling. Primary development is done in Objective-C along with Xcode and Interface Builder for native applications. Additional development tools include Ruby on Rails, iUI and Webkit for building web applications. The applications we develop are fully compatible with and enhance the iPhone’s native features, such as Call, SMS, Phone Book etc. by including support for API’s for MAPs, Media and SQLite. Getting the most out of the iPhone’s powerful GUI through the creation of flexible user interfaces that will enrich the animation and visual appeal of the presentation is a particular specialty of our Mobile Team. The layered architecture of the iPhone is fully exploited to allow effective separation of business logic from its presentation layer. Our iPhone expertise includes developing specific web applications for use with the Safari browser with all iPhone functionality. GPRS, SMS and WiFi communication technologies are fully supported. A versatile and robust component library has been developed that allows for faster, more efficient and reliable mobile development for the iPhone. RoundWorld Solutions Localization Services: Open for Business – Open for Business – Worldwide. It’s a BIG world out there! Lots of geography to cover, lots of opportunities to capture, lots of business to close. With the advent of the Internet, and its exponential growth, businesses have been provided with a tool of immense and unprecedented power. The ability to reach into every culture and every market – around the clock – is now within the grasp of virtually every company. But, the challenge remains: How best to exploit this tool to create robust new avenues of revenue in a worldwide setting? For starters, when your market (or potential market) is global, it is critical that it be easy for your customers to do business with you – wherever they are located. Of course there are many considerations that go into achieving this overall goal, but here we will focus on one key aspect: making sure your company achieves maximum visibility within the target market and ensuring that customer accessibility is open and inviting. It is not enough that your prospective customers know of your product or service, they must be able, in fact they must be encouraged, to take an action: Ask for more information, contact a representative, place an order. However, this simple proposition becomes more challenging when there is a need to communicate effectively with customers from diverse cultures and across multiple languages. Owing to the complexities and nuances of culture and language, an otherwise effective message can be unintentionally rendered meaningless or worse. In contrast, when websites, applications and customer interfaces have been implemented that present the look and feel as though they were done locally, an inviting and valuable comfort zone is created. Whether your customers are located in Lisbon, Taipei, Buenos Aires, Munich, Kyoto, Paris or Tel-Aviv (fill in the blank! ), the challenge is to ensure that your products, your services, your message speaks effectively to every potential and existing customer in their own native language. Removing costly language and cultural barriers between you and your global customer is at the heart of Internationalization, Localization and Globalization. Internationalization (also referred to as “L18N”) is a process by which cultural assumptions are removed from products during the design and development phase so that they can be effectively localized. It provides the foundation upon which the product can be readily adapted for localization to meet a specific purpose. When properly internationalized, remedial engineering or redesign at the time of localization can be significantly reduced or eliminated altogether. Sometimes viewed as a step or process which can be skipped to save time and money, the ultimate cost and effort needed to localize a product without internationalization can be significantly higher. Localization (also referred to as “L10N”) is much more than just high-tech language translation. Rather, localization refers to the process of adapting a product or service to a particular language and culture so that it will appear transparent to the native culture. Achieving the “look and feel” of a “local” product entails a wide range of adaptations which must be made including, but not limited to, idiomatic and dialectic language translation, provision for local formats for numerical entries, time zones, telephone numbers and local currencies and support for various payment preferences as well as many cultural considerations such as national holidays, sensitivity to gender roles, name formatting, color sensitivities and more. Often times, these and many other more subtle issues, are missed by product designers simply because they are not aware of the nuances. Bottom line: the difference between a product that works and is successful in a localized market versus one that frustrates and is rejected by the user is effective versus poor localization. In this larger view, localization is not simply an “added cost” but rather an additional opportunity to increase revenues and market share. Globalization (also referred to as “G11N”) is a broad and somewhat generic term that describes the process of designing, developing, adapting and providing after-market support of products or services for distribution in multiple countries. It entails more than internationalization and localization in that it deals with all of the strategic business considerations and marketing aspects needed for successful deployment in a global market. Single Source Solution: RWS has the depth and resources to handle virtually any language requirement – eliminating the need to manage multiple vendor relationships. Experience & Substance: Our seasoned linguistic and development teams bring years of experience in meeting the most demanding internationalization/localization projects successfully completed for many of the largest software companies in the world. Retain Focus on Core Business: Internationalization/localization is an important strategic tool that can significantly grow future business. RWS has the expertise, infrastructure and track record to create the worldwide portals that will capture new opportunities while leaving you to focus on core business goals and competencies. Cost Effective Uniform Pricing: Cost remains constant regardless of the language(s) chosen (e.g., French, German, Chinese, Japanese among others). Rapid Response: Project kickoff can be begun within as little as a week from identification of a suitable project. All Project Sizes Welcome: From pilot projects to major initiatives to enterprise-wide projects, Cosmic Bridge has the team and resources to accommodate virtually all engagements. Site analysis and creation of detailed project plan – Thorough analysis of the many challenges that must be considered and managed is our starting point. Expectations, cultural considerations, technologies and econometrics are among the key aspects that are carefully examined and for which appropriate solutions are crafted. This is a combined and collaborative effort between our team of linguists and engineers and key elements of our client’s team (technical, marketing/sales, business etc). A detailed project plan is created which functions as a road map and is used to validate each phase of the project. Technologies and architectural design – In a large enterprise website destined for a global user market, many disparate file types can be expected. For example, Quark files may come from marketing, XML from the web group, MS Word files from the legal department, database files from sales and accounting. Depending on the nature of the content, provision for handling each file type must be made and incorporated into the overall architecture. Additional considerations which may be applicable include selection or adaption of a suitable translation memory manager and provision for potentially extensive server-side preparation to support multiple language versions. The RWS global partner team is experienced and proficient in the many technologies and design issues that must be managed. Workflow schema – Websites are a dynamic interface and as such, workflow design – identification of the appropriate localization technologies to be used and determination of when and where those technologies will be brought to bear – are a key driver of the project’s success. Careful examination of the key performance and functionality requirements yields an optimum workflow schema. The result is a clear visualization of each step in the localization process, accountability for that step and the specific technology used to make each step as seamless and automated as possible. Global presentation and branding identity – Of course creating an effective global web platform entails more than just mastering the technical issues. The goal is to facilitate effective communication between multiple cultural and linguistic groups using the medium of language. Owing to the subtleties and nuances that characterize language, it is critical to “get it right” from the start. Doing so requires that additional language-centric issues be addressed early in the project: Glossaries, style guides and brand specific identities. Current and complete glossaries are fundamental to ensuring a common understanding, and translation of, the technologies, cultural, linguistic and business specific terminologies used in the website. Existing glossaries, if any, are reviewed together with the client’s team, and updated and supplemented as needed. Moreover, it is important that the grammatical and stylistic conventions used to define content be tailored to fit the demands of the target market. The creation of style guides ensures that all translated content will be managed consistently and appropriately. Creating a well respected and successful brand identity is among the most important of all corporate assets. Extending this achievement to a wider global market requires careful preparation and execution. The objective is to capture the features and messages that define the brand in its native culture and language and adapting them to perform equally well in new target markets. To accomplish this goal, the Cosmic Bridge team, working together with the authors of corporate content, develop guidelines that serve as a roadmap to ensure that content has been appropriately adapted to succeed in the target market. Software localization is a process designed to adapt and tailor a software application to a specific target language and culture while preserving the performance and functionality standards of the original product. Clearly, software localization involves more than just translation of the user interface (UI) and related documentation. Our software engineers and translation team are proficient in meeting the challenge! RWS partner provides Multilingual Testing and Quality Assurance both as an independent stand-alone service and as an essential component of an end-to-end localization project. In addition, our Testing & QA teams are available for both on-site assignments or in Remote Development Centers globally. Testing and QA are a vital aspect of any localization project. Using the latest tools, test environments and techniques, each product release meets or exceeds all expectations for reliability, accuracy and linguistic excellence. Original message is conveyed in an equivalent and culturally sensitive manner. Glossary entries and all translated content are subject to continuous proofreading to correct inadvertent grammatical, punctuation and typographical errors. Context and meaning of the translation is verified at each step for consistency with the original message. In today’s globalized markets, virtually all manner of IT services are routinely and successfully outsourced. From a departmental level up to entire enterprise wide operations – outsourcing has become an essential and well established business model. However, many companies with a need for internationalization and localization services do not have the time, resources or funding needed to assemble, train, maintain and manage an internal capability. Against this backdrop, RWS partner has assembled “all the pieces” needed to execute your internationalization and localization strategy from a single source. We provide an efficient and extremely cost effective alternative that allows you to focus 100% of your energy on your core business. Creating appealing and effective marketing brochures, training and user manuals, retail package designs or on-line and off-line publishing source files requires a substantial investment in time, effort and money. However, completing the linguistic/translation work is not the end of the process. There are a number of additional layout considerations that must be taken to prepare the final document for presentation to a multilingual market. RWS partner team of Multilingual Desktop Publishing (MDTP) specialists have the tools and depth of experience to ensure that your multilingual documents are both translated accurately and professionally presented to reflect the level of quality you demand. Through the application of technology and human linguistic skills, the final translated source document layout will appear as natural as if it were created within the target country. MDTP services for both the PC and Mac platforms using the most recent commercial authoring, design and editing applications are available par. In addition, our partner localization engineers develop custom solutions internally to ensure terminology and style consistency, achieve volume and revision efficiencies and to leverage legacy materials. Finally, every document is double checked for quality by our proofreaders and editors before it is delivered for final acceptance. Whatever your Multilingual Desktop Publishing need, large or small, basic or complex, RWS is the one stop solution for cost effective and professional quality MDTP publishing. RWS process methodology is critical to the delivery of a product whose functionality and look and feel will be indistinguishable from an application originally developed in the target market’s native language. While we adhere to a time-tested procedural framework, we also align our processes as closely as possible with those of our client to ensure that execution of the project is as least disruptive and as compatible with their internal processes as possible. The RWS Project Manager is the key factor in guiding the project from inception through production to final delivery and customer acceptance. S/he is the driving force – charged with the responsibility of seeing that all project specifications and processes are met and are proceeding on schedule and that our customer’s expectations are fully met. The Project Manager is also an anchor – a focal point that provides continuity of effort and ultimate accountability for the project’s success. Account Managers: The ultimate owner of each project is the Account Manager. All communication issues including resolution of invoicing, changes in strategic goals and ensuring the overall health of the Cosmic Bridge / customer relationship is the Account Manager’s responsibility. Onsite Project Coordinator: When appropriate, an Onsite Project Coordinator may be assigned to our client’s offices to provide additional clarity and real-time communication between our team of language professionals, engineers and testers in our Remote Development Center and our client’s internal team. Vendor Project Coordinator: The Vendor Project Coordinator coordinates all activities and communication between ourselves and any external vendors / agencies which may be utilized for specific aspects of the project. The most current status reporting tools (e.g., SharePoint) are used to track the progress of all projects, if any, which are underway outside our premises. Execution Team: Our Execution Team consists of localizers, language QA persons, language professionals, engineers and testers. They are responsible for providing linguistic input for all projects, validation of work done and setting standard procedures for any linguistic work which may involve foreign languages. The engineers and testers in the team are responsible for their respective jobs in engineering and testing of localized files/builds as defined in the project specs. Over the years, they have developed internal tools to simplify and expedite project execution and to deliver projects in the shortest possible time that are consistent with the project specs and customer expectations. The RWS partner Localization & Internationalization Team, in affiliation with our select partners worldwide, offers a robust and extremely cost-effective solution to companies seeking to extend their product offerings to a truly global market. Central to our success is the depth and cohesiveness of our core team which includes many senior members with 10+ years experience. Virtually all members hold university degrees in their respective area of expertise with many also holding advanced degrees and specialized training. In addition, our dedicated team of several hundred translators, editors, proofreaders, linguists and engineers strictly adhere to the rigorous CMMI Level 3 certified process standards to ensure quality, uniformity and timely delivery of all projects. Due to excellent credentials and reliable performance, we have provided a wide array of localization / internationalization services to many of the largest software companies in the world. A sampling of projects includes testing and localization of engineering applications, creation of international spellers, conversion of corporate documents from English to international languages and localization of numerous software products into market-specific international languages. RWS and its partners use the most current technologies to ensure optimum efficiency in the execution of all aspects of the internationalization and localization process: Translation memory management tools, automated QA and testing, advanced translation and help creation tools all serve to achieve our goal of providing quality translations on time and within budget. Your intellectual property, in all its forms, is your core business asset. Accurate, timely and professional documentation of your company’s work product, internal procedures and corporate strategies are vital to your overall success. It not only clarifies where you’ve been but points the way to the future. Documentation, in all its forms, is a catalog of information. As conditions change, so too does the need to amend the record. Employees come and go, company standards, practices and strategies evolve over time, sales and marketing dynamics are continually revised. All must be properly documented or the information will be placed at risk. In the past, documentation was often seen as a low priority and annoying task, relegated to junior staffers on an ad hoc basis. This can be a short sighted and costly business practice. In contrast, when fully integrated within the corporate structure, documentation becomes an invaluable repository of the cumulative efforts to advance your business. The accumulated body of knowledge preserved through complete and usable documentation is among the largest of all your corporate investments. You can trust RWS and its partner Documentation Team to safeguard your investment. We’ve all experienced it: Wordy, incomplete or incomprehensible product documentation. The result can be a costly impression of sub-professional products and services and a loss of confidence in your commitment to customer support. A frustrated customer is generally not a repeat customer! In contrast, in the sales and marketing environments, documentation can be a powerful tool. Professionally prepared installation guides, user manuals, online help tools etc. communicate a powerful message to your customers: “Nothing has been spared to ensure you receive the maximum benefit from our products”. In addition, properly documented user materials reduce calls to customer support and the drag on engineering resources. Thorough, user friendly documentation helps ensure ease of use and a satisfied customer. Documentation is in fact a broad term applicable not only to technical and engineering processes but has come to include support for sales and marketing as well. The common thread is the need to provide a concise and useable repository of information that is readily accessible to the user at their level of understanding.